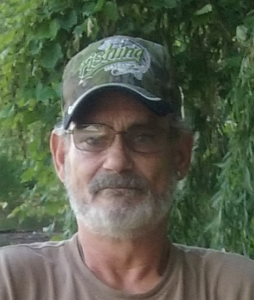 David W. “Stitch” Stiteler, 58, of Aliquippa, passed away on Thursday October 11, 2018 in his home. He was born on December 2, 1959 the son of the late David C. and Anna Marie Stiteler. A 1977 graduate of Aliquippa High School. He was a retired machine operator. He was an avid hunter and fisherman and loved the Steelers and Pirates. The joy of his life was his grandchildren and his two dogs, Mandy and Charlie. He is survived by his three children: Paula (Sean) Douglas, Center Twp. ; Brittany (Jason) Holsapple, Independence Twp. ; and David (Amanda Burgess) Stiteler, Hopewell Twp. ; 6 grandchildren: Nathan, Andrew, Ayla, Aryana, Alexis, and Brayson; 2 sisters: Deb (Ron Gnan) Baron, Raccoon Twp. ; Diana (Darrin) Jones Rochester, NY; a brother: Dan (Jennifer) Stiteler, Raccoon Twp. And numerous nieces and nephews. Friends will be received on Monday from 4pm until 8pm in the Huntsman Funeral Home and Cremation Services of Aliquippa, where a funeral service will be conducted on Tuesday at 11am.